More comfortable home: energy-efficient glazing reduces heat loss through windows and means fewer draughts and cold spots. Peace and quiet: as well as keeping the heat in, energy efficient-windows insulate your home against external noise. Reduced condensation: energy-efficient glazing reduces condensation build-up on the inside of windows, however replacement windows will be more airtight than your original frames, so condensation may build up due to the reduced ventilation. If your house does not have much background ventilation, look for replacement windows with trickle vents incorporated into the frame to let in a controlled amount of air. More secure than single paned windows. Glass: The most energy-efficient type for double glazing is low emissivity (Low-E) glass. This often has an invisible coating of metal oxide, normally on one of the internal panes. This lets in light and short wave length infra-red energy, however reflects back the long wave length infra-red radiation generated by the interior furnishings. The latter means heat is kept in your house keeping you nice and cosy rather than escaping to the outside. Gaps between the glass: Very efficient windows might use gases such as argon, xenon or krypton in the gap between the sheets of glass. Pane spacers: These are set around the inside edges to keep the two panes of glass apart. 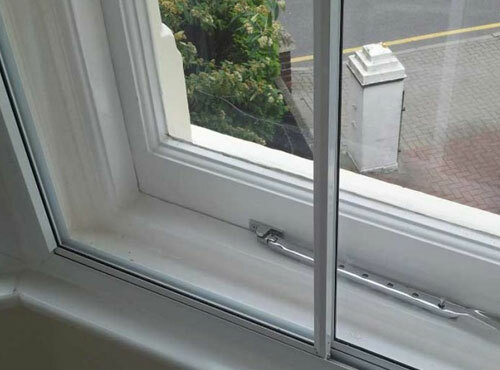 For maximum efficiency, look for pane spacers containing little or no metal – often known as ‘warm edge’ spacers. Hermetically sealed double glazed units. 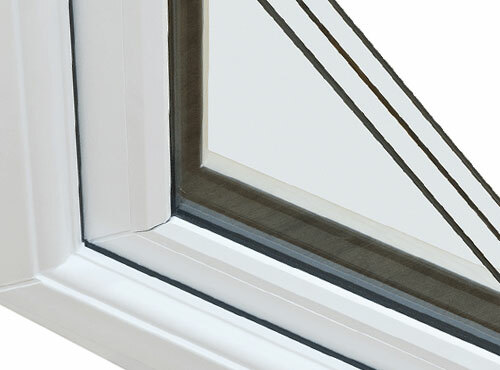 uPVC frames last a long time and can be recycled. Wooden frames may have a lower environmental impact, but require maintenance. They are often used in conservation areas where the original windows had timber frames. Aluminium or steel frames are slim and long-lasting, and may be recycled. Composite frames have an inner timber frame covered with aluminium or plastic. This reduces the need for maintenance and keeps the frame weatherproof. U-Value (sometimes called a heat transfer coefficient) is used to measure how effective the elements of the window are at preventing heat from transferring between the inside and the outside of a building ie how much heat loss it allows. Materials that let out more heat have higher u-values. In some cases, windows with a higher energy performance rating might have a higher u-value than windows with a better energy efficiency rating. This might seem the wrong way round as lower u-values indicate better insulation levels. However, in these cases it will be other aspects of the window that make them better overall such as the coating used on the glass and / or the gap between the glass panes. Energy rating: Some window manufacturers show the energy efficiency of their products using an energy-rating scale from A to G. A being awarded to the most energy efficient windows. The whole window (the frame and the glass) is assessed on its efficiency at retaining heat. The scheme is run by the British Fenestration Rating Council (BFRC). Visit BFRC for more information. Example of secondary glazing in front of sash window.